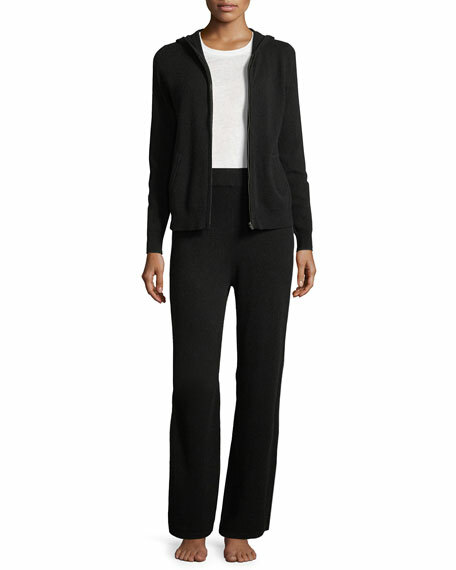 10GG, 2-ply cashmere lounge set includes top and coordinating pants. Top: hooded neckline, zip front, long sleeves, slip pockets, slim fit, ribbed trim. Wide-leg pants: elasticized waist, pull-on style.